“Handbook of Latino/a Theologies” explores the varied theological, ecclesiastical, spiritual, and cultural expressions associated with the term ‘Latino/a or Hispanic theology.’ There is no single definition of Hispanic/Latino theology, but rather a multiplicity of perspectives within the diverse Latino/a communities that articulate a distinctive and relevant Hispanic viewpoint.This collection of thirty-four essays surveys how Latinos/as understand and do theology within those varied contexts. 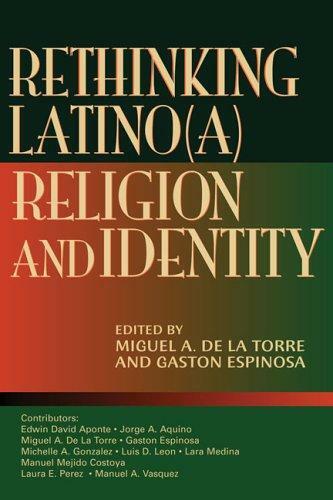 It gives attention to the history, nature, sources, and development of Latinos/as theological expressions within the U.S. and their contribution to the overall theological discourse and to the individual groups that gave rise to them. Part I of the handbook presents essays on many traditional topics in Christian theology representative both of the individual authors and various beliefs found in Latino/a communities. Part II focuses on trends and contextual issues within the overall Hispanic/Latino theological conversation.